Electro-Magnetic Chiming Hammers can be fitted to bells hung for chiming or change ringing, and these will not interfere with the normal manual chiming or ringing of the bells by hand. 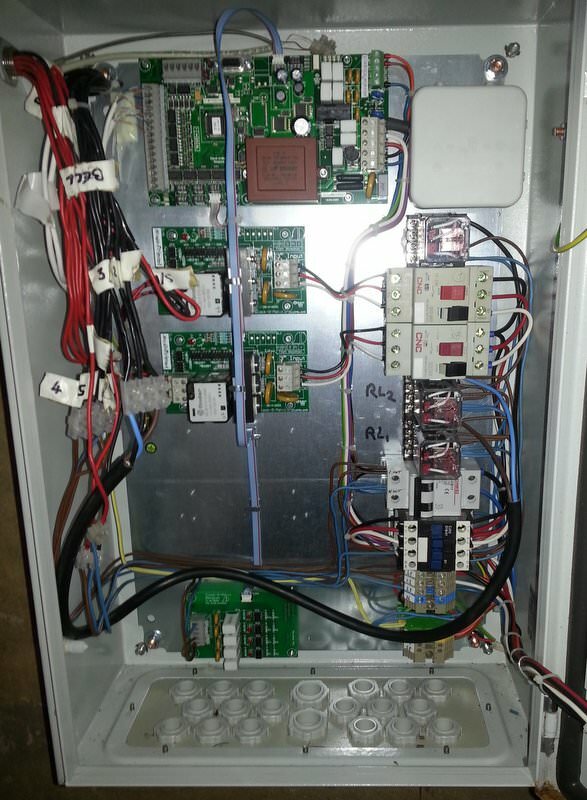 Once a system is fitted it can be pre-programmed for up to a whole year if required. Tunes, both secular and sacred can be programmed , together with single bells to mark the hours or angelus, or English change ringing if the tower has sufficient bells. 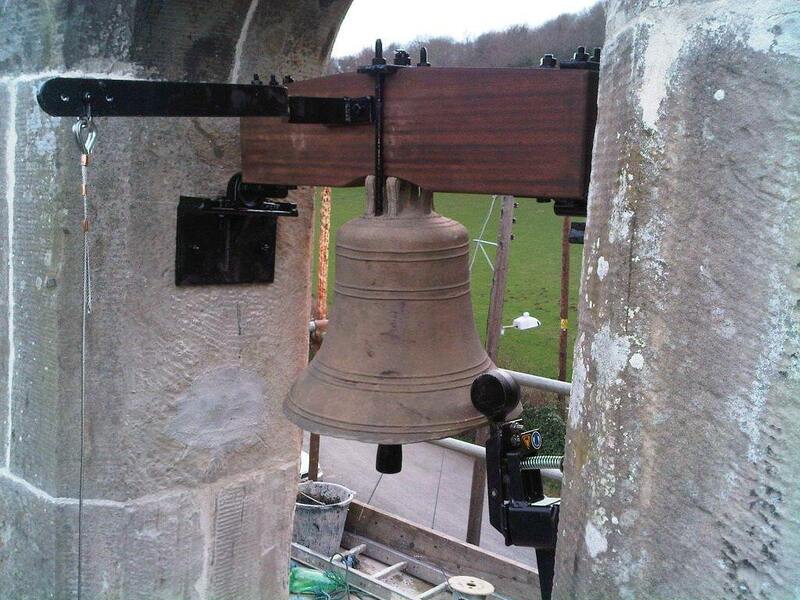 Ask for a free quotation so that your bells can sound when no team of ringers is available. 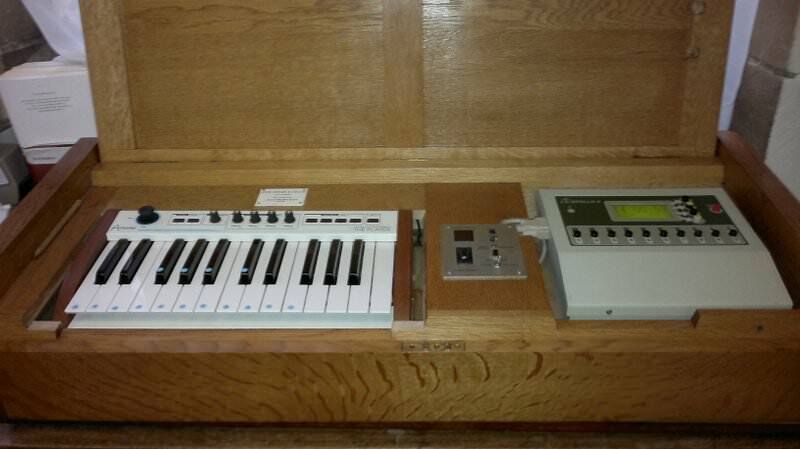 This can be pre-programmed to the church's requirements but also has a facility to record and reproduce material played into it from the keyboard. 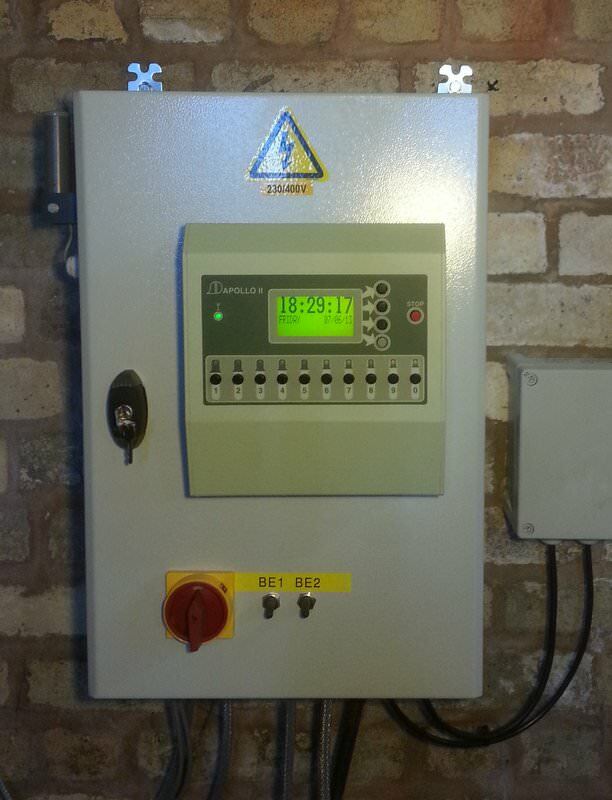 An Apollo programmable unit without keyboard facility. A single bell hung for manual swing chiming and with automatic electro-magnetic external hammer. A set of four bells with internal electro-magnetic hammers. 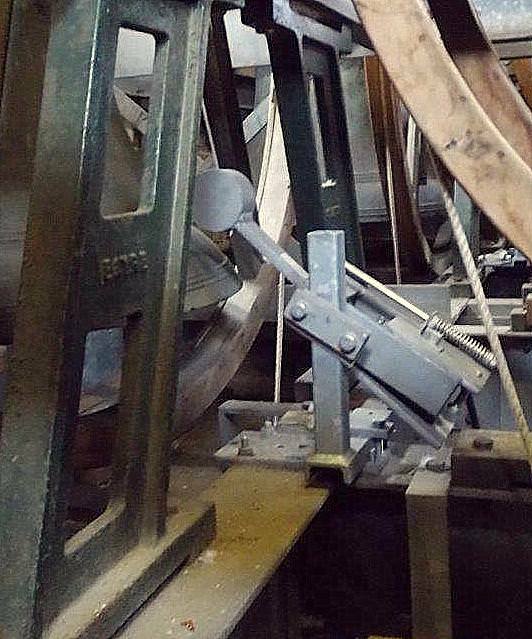 Two swinging bells fitted with linear motors for automatic swing chiming. 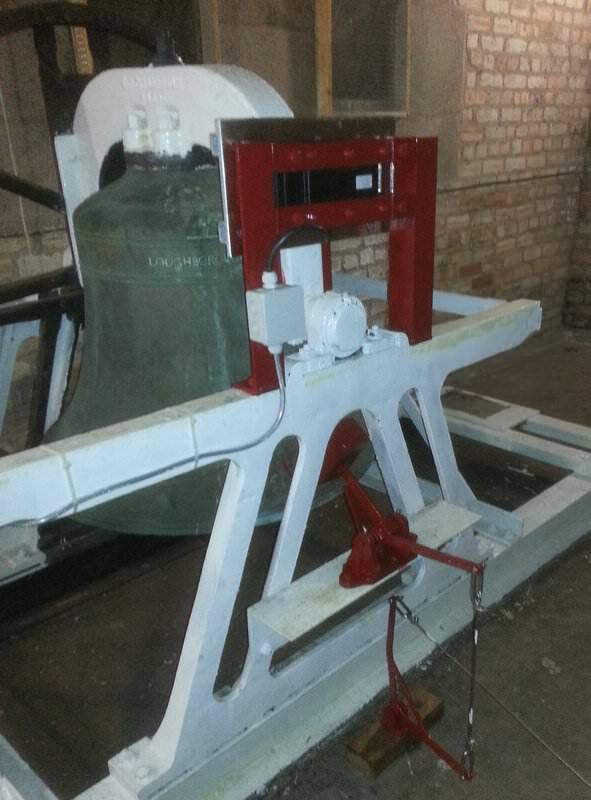 Another bell fitted with a linear motor for swing chiming and external chiming hammer for chiming the hours/angelus etc - both automatically operated. 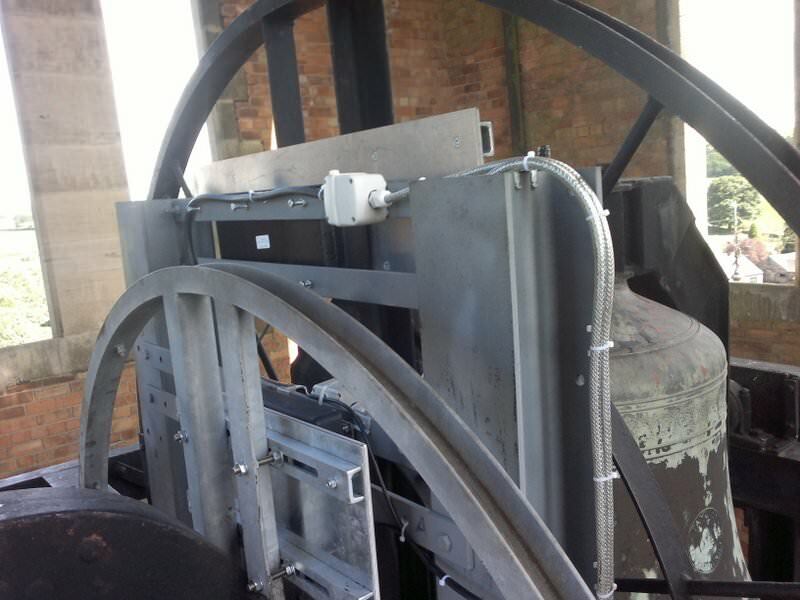 An electro-magnetic chiming hammer fitted to a change ringing bell.